Dr. J. Joseph Prendergast Video! I came across this short but very interesting video of Dr. J. Joseph Prendergast. 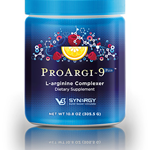 For those who don’t know Dr. Joe (as he prefers to call himself), he is the product formulator of ProArgi-9 Plus. Dr. Joe is Board Certified in Internal Medicine as well as Endocrinology and Metabolism. He is an expert in integrative L-arginine therapy and has been using this type of therapy in his practice since 1991. Due to family heredity Dr. Joe was diagnosed at the age of 37 with severe atherosclerosis or hardening of the arteries. It was estimated that he had the cardiovascular system of an 80 year old individual. This led him on a quest to find a solution to his health problem. 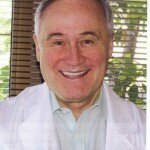 Using cutting edge research from Dr. John Cooke and Nobel Prize winning science from Dr. Louis Ignarro and others, Dr. Joe began to work on L-arginine / L-citrulline formulations; formulations that would positively impact the health of the endothelial cells and their ability to repair themselves and produce Nitric Oxide. I would ask you to think about that. Over the last 17 years Dr. Joe has had no admissions to the hospital for cardiovascular disease. This is remarkable when you consider that most of his patients are diabetics. It was so remarkable that the American Diabetes Association awarded Dr. Joe the Father of the Year award for 2008. Please click on “ProArgi-9 Plus” below to view this video! Please Note: This link takes a couple of seconds to load. Once it loads you have to click on the “play button” for it to start. It then takes a couple of seconds to play. Please be patient for what Dr. Joe has to say is well worth waiting for! How would your life change if you where one of Dr. Joe’s patients, especially if you’re a diabetic? I’ll let you answer that question privately. I want to thank Dr. Joet for taking his personal health challenge, combining it with cutting edge vascular research, Nobel Prize winning science, and proven clinical results to create ProArgi-9 Plus. A product that has helped both him and thousands of others improve their health. The information contained in this article is for general information purposes only and never as a substitute for professional medical advice or medical exam. The information contained in this article about Dr. Joseph Prendergast has not been evaluated by the Food and Drug Administration and should not be used to diagnose, treat, cure or prevent any disease without the supervision of a qualified medical doctor.